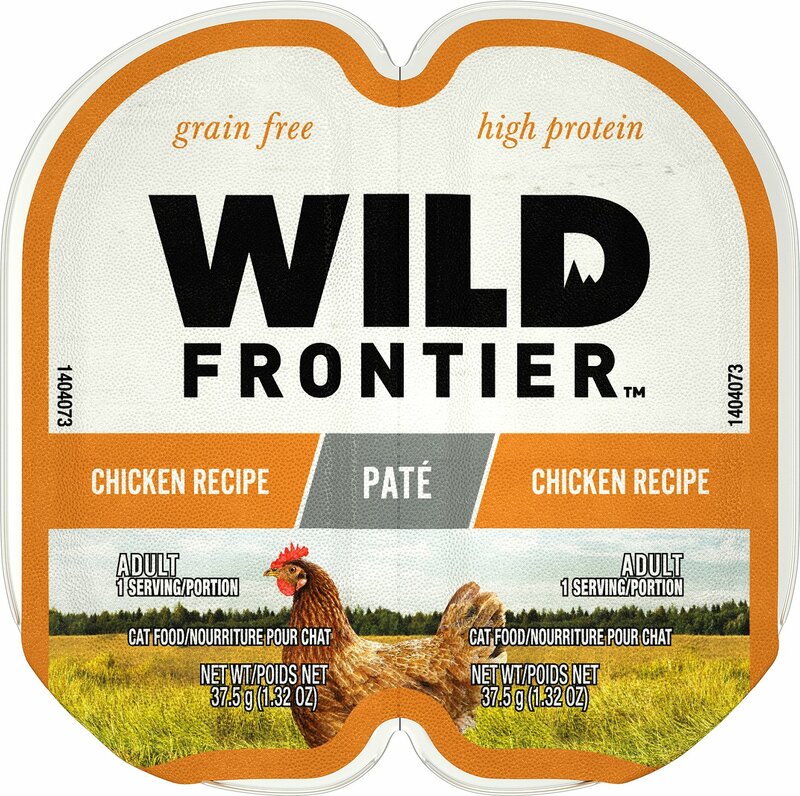 Nutro Wild Frontier Real Chicken Recipe Pate Adult High-Protein Grain-Free Cat Food Trays are inspired by the wild to meet your cat’s instinctual needs. These perfectly portioned trays allow you to feed your cat wet food without the hassle of leftovers in your refrigerator. Made with real chicken as the first ingredient, this grain-free recipe doesn’t contain any artificial flavors, colors or preservatives—just high-quality ingredients and nutrition in every serving. Make sure every meal is fresh with Nutro Wild Frontier Cat Food Trays. Inspired by nature, this high-protein recipe features real chicken as the first ingredient. 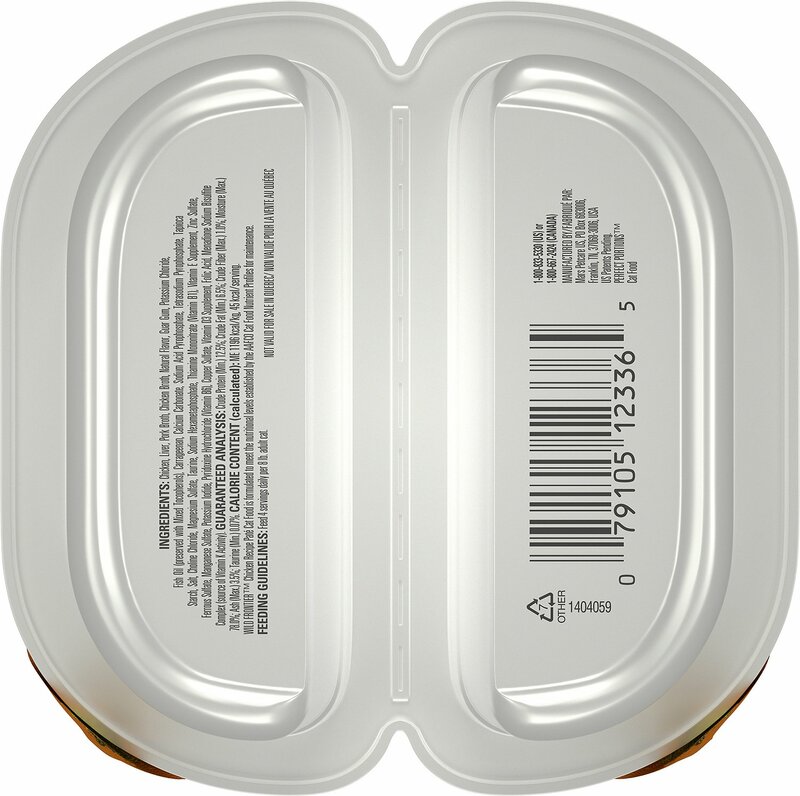 Contains 24 twin-packs which gives your feline friend 48 perfectly portioned servings. 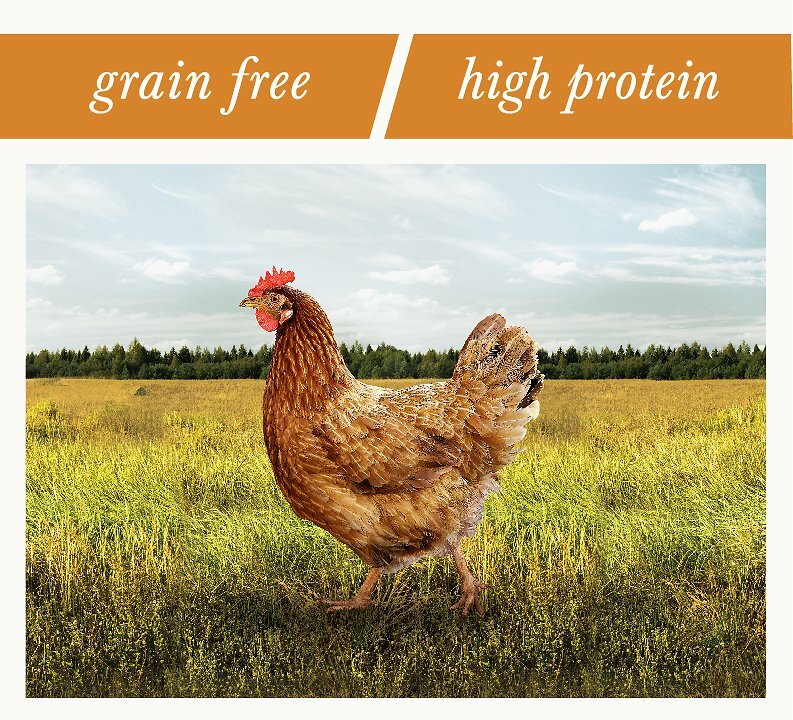 Grain-free formula is made without corn, wheat or soy—just high-quality ingredients. No artificial colors, flavors or preservatives for a natural and delicious taste. Nutro's dedicated team of experts tailor their formulas to your pet's life stage and health condition. They only use natural ingredients that they directly buy and can trace back to their suppliers. 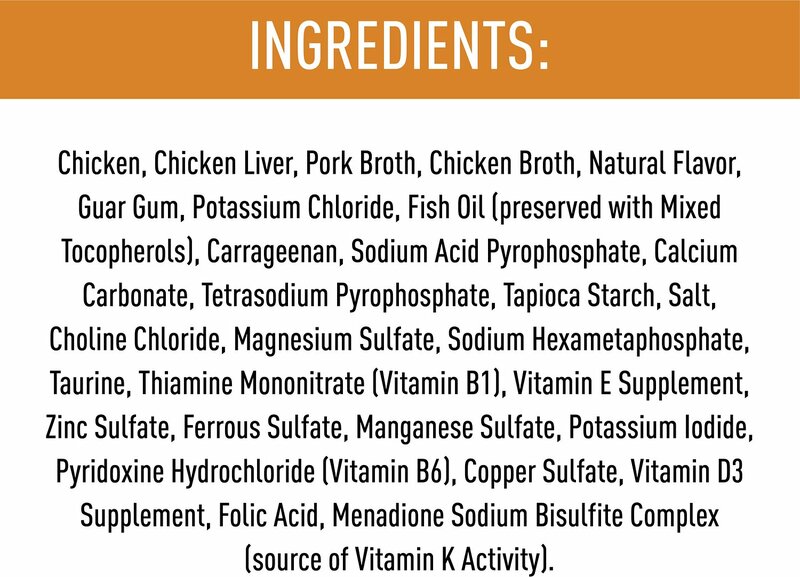 Chicken, Chicken Liver, Pork Broth, Chicken Broth, Natural Flavor, Guar Gum, Potassium Chloride, Fish Oil (preserved with Mixed Tocopherols), Carrageenan, Sodium Acid Pyrophosphate, Calcium Carbonate, Tetrasodium Pyrophosphate, Tapioca Starch, Salt, Choline Chloride, Magnesium Sulfate, Sodium Hexametaphosphate, Taurine, Thiamine Mononitrate (Vitamin B1), Vitamin E Supplement, Zinc Sulfate, Ferrous Sulfate, Manganese Sulfate, Potassium Iodide, Pyridoxine Hydrochloride (Vitamin B6), Copper Sulfate, Vitamin D3 Supplement, Folic Acid, Menadione Sodium Bisulfite Complex (source of Vitamin K Activity). Feed 4 servings daily for every 8 lbs of Adult cat's body weight. Keep fresh drinking water available. NUTRO always recommend using a transition period when introducing any new wet or dry food to your dog or cat. Mix 25% of the new food in with 75% of the current food. Over a 5-10 day period, gradually increase the amount of new food in the mixture until it's the only thing in the bowl. NUTRO Wild Frontier dry recipes satisfy hunger, while appealing to a cat's natural instinct for protein. These high-protein, grain free recipes are made with non-GMO ingredients† and are available in a variety of mouthwatering recipes to suit cats who prefer the taste of poultry or fish. †Trace amounts of genetically modified material may be present due to potential cross-contact during manufacturing. To help support a strong, lean body, NUTRO WILD FRONTIER offers "ancestral inspired" dry cat foods that are grain free, high-protein at 40-42%, and feature salmon, chicken or white fish as the number one ingredient. NUTRO PERFECT PORTIONS adult wet cat food trays give you the opportunity to feed your cat without having to store messy leftovers. Each twin pack delivers two mouthwatering servings, with real, high-quality animal protein as the foundation of every recipe. Plus, they're made with no artificial flavors, colors or preservatives and have no corn, wheat, soy protein or other grains. These trays have two servings so there aren't messy leftovers—just break each pack apart, peel back the lid and serve. 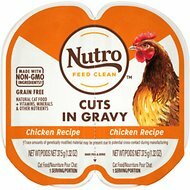 The NUTRO brand has a long history of making great pet food—since 1926, in fact. From the beginning, they've been pioneers in pet nutrition, and their quality products, high standards, long heritage and pet-loving people make all the difference. I switched from a popular grocery store national brand cat food to a prescription brand when one of my cats became overweight. Unfortunately the cats just kept asking for food all day. I decided to try a high protein food and chose this one in both wet and dry forms. Both cats responded well and are more satisfied with less food through the day. My cats with sensitive stomachs love this!!!!!!! My Picky Cat Loves it! I have a very picky kitty who just loves this stuff. Glad I found it. Nutro Wild Frontier is purrfect! I think my cats loved It! At times when I've offered a new wet food (especially something good for them) they take a sniff and back away from the bowl leaving it untouched. Very picky eaters. Not this time they were in for a real treat, gobbled it right down, and licked the bowl clean. I like Nutro WILD FRONTIER Ancestral Inspired Pate as they use high quality ingredients from nature. The recipe is formulated with high protein, healthy carbohydrates and no grains. There are two meal servings packed together and easy to open and serve. I received a complimentary pack of WILD FRONTIER wet cat food. I received this product as a free sample to try for my cats. I think it was an alright product. My cats are seafood junkies like most cats I think. While they do like chicken, this food was questionable with them. They looked at it and then smelt it and walked away. Came back a few minutes later and did it again. Then one of my cats decided she was going to try it and she took a bite of it and continued eating it until it was all gone. Then went and ate the 2nd bowl that I had and cleaned it completely. The other 2 cats I have never returned to it. I'll still give it 5 stars, just because one of my cats did love it and ate it all. I first got started with this product with a free product trail from Wild Frontier. And wow! Am I glad I did. The cat food had healthy portions (just right for our cat) and wholesome ingredients, that no one would frown upon. Our cat was at first hesitant to try a new food. Since, for the most part he had ate dry food. But I think I will now have to buy wet food. Tucker (our cat) finished all of his food before I could go back inside. I think I will have to add this food to our regular shopping list. To anyone out there you have to try this! Your cat will think its purrfect and you won't regret buying it.